Opposition leader Juan Guaido, recognized by some 50 countries as Venezuela’s interim president, warned the military Sunday that blocking humanitarian aid from entering the country is a “crime against humanity.”The warning comes as international aid has taken center stage in a test of wills between Guaido and President Nicolas Maduro in which Venezuela’s armed forces are seen as the pivotal player. Guaido has offered amnesty for any members of the armed forces who disavows Maduro — but the military leadership still publicly backs the president. 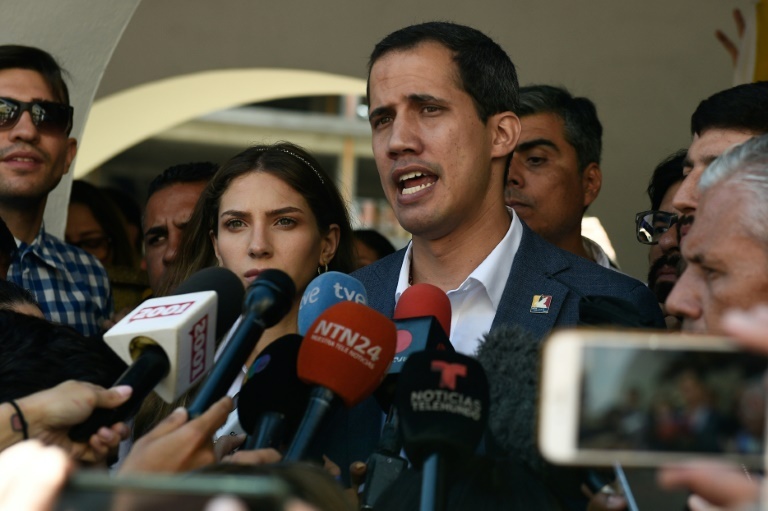 Guaido countered that the regime was refusing to acknowledge a “crisis that they themselves generated,” while Venezuelans were working to deal with the humanitarian emergency. But Guaido on Sunday reiterated that he would not negotiate with Maduro — as he believes Maduro would use such talks to buy himself time. Last week Maduro also rejected a call by European Union countries to hold elections, prompting them to recognize Guaido.